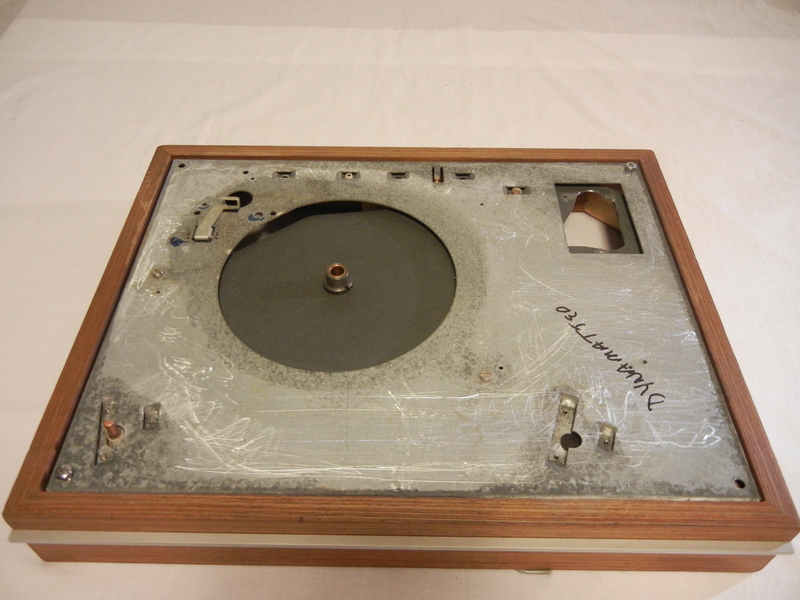 Most hardware is removed and cleaned ultrasonically. 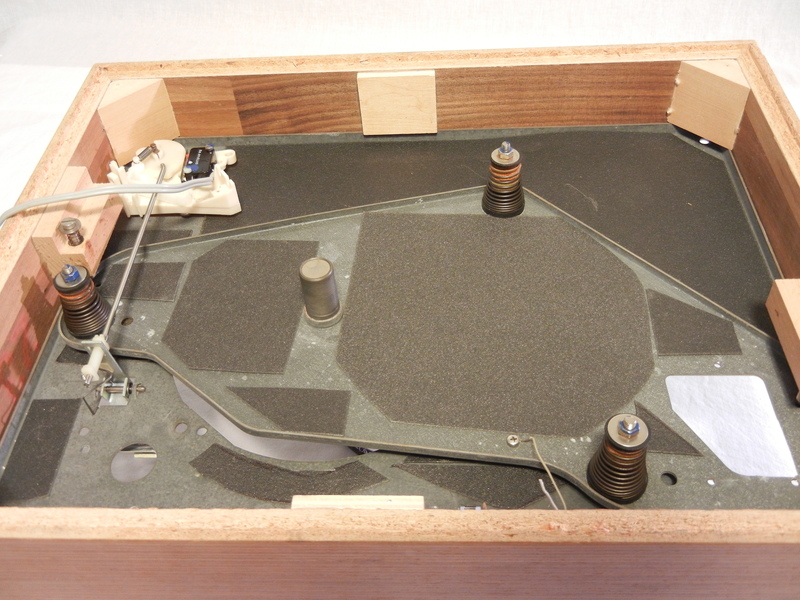 Then the old TD-160 top plate is removed and the old adhesive residue sanded away. 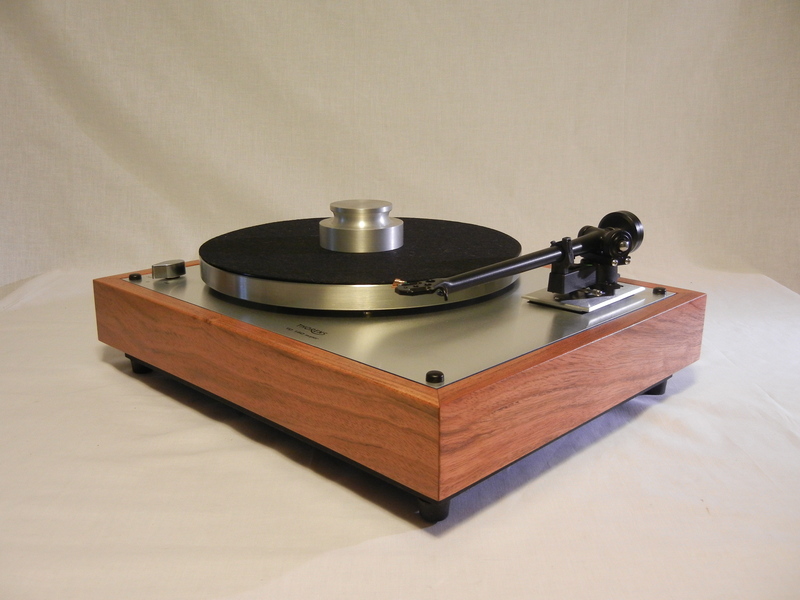 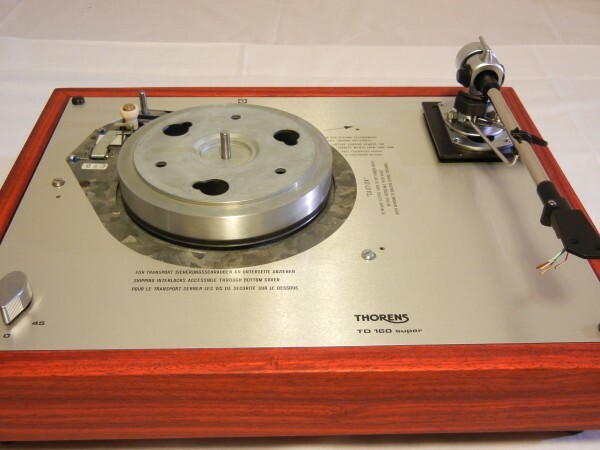 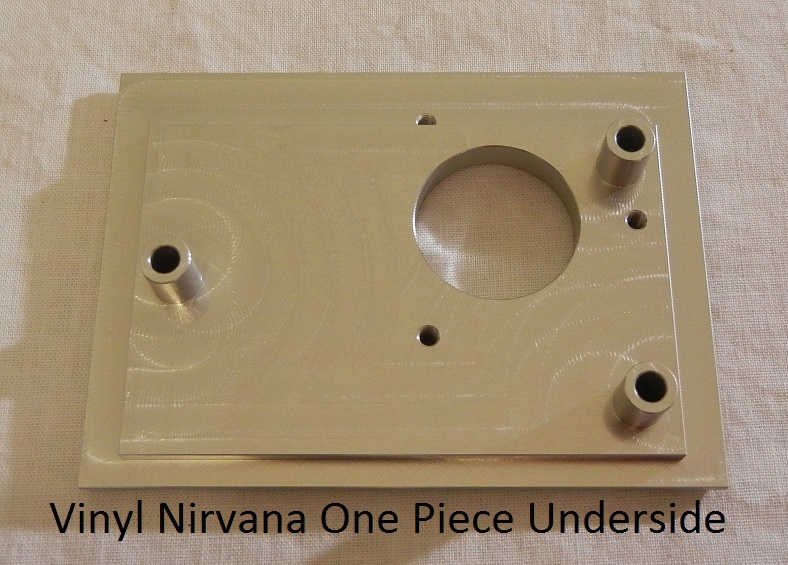 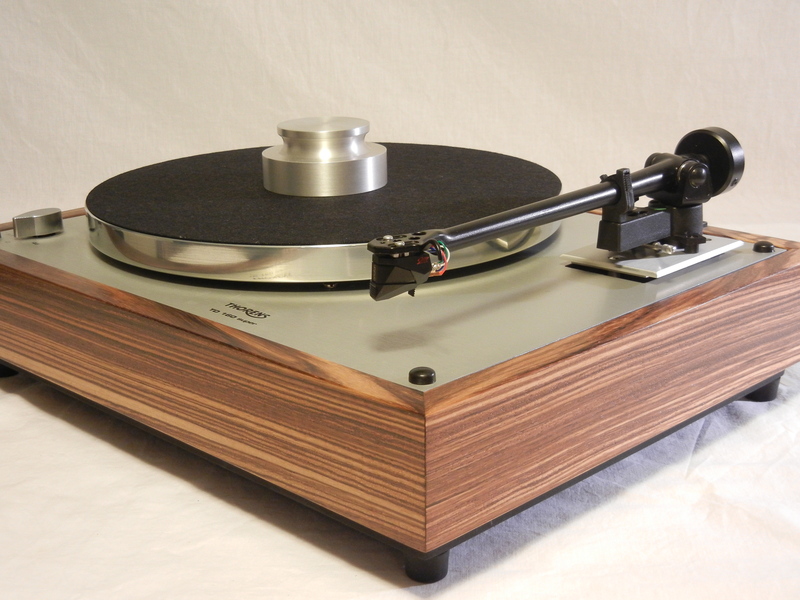 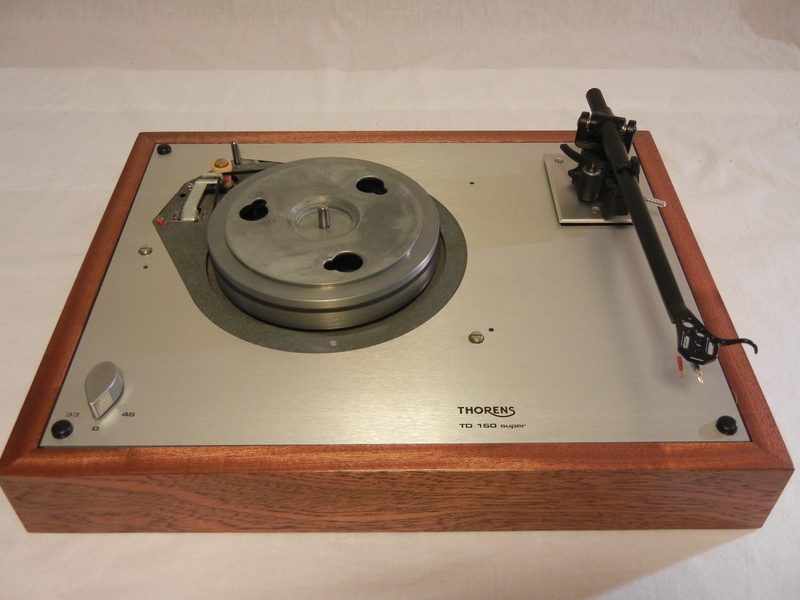 The reproduction top plate is carefully modeled after the original Thorens, sans the warnings written in German. 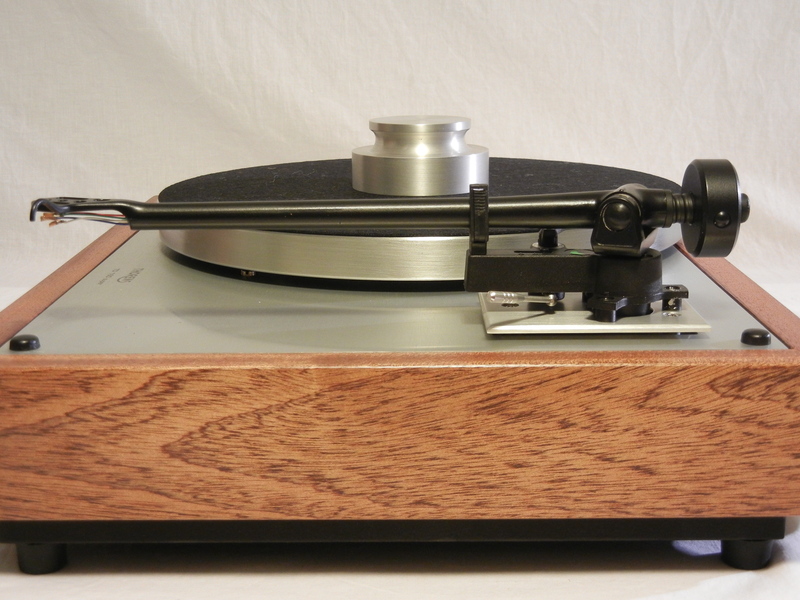 Tonearm is mounted using a state-of-the-art machined one piece armboard. 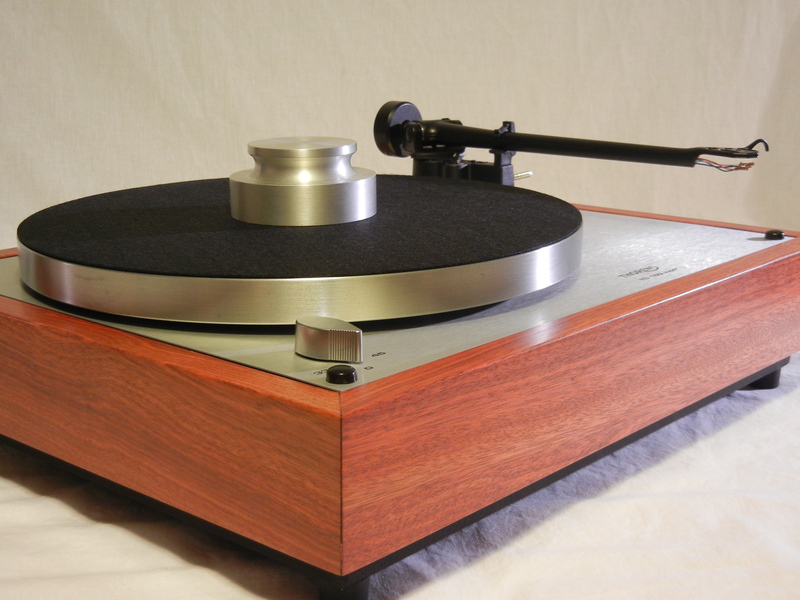 Solid and gorgeous! 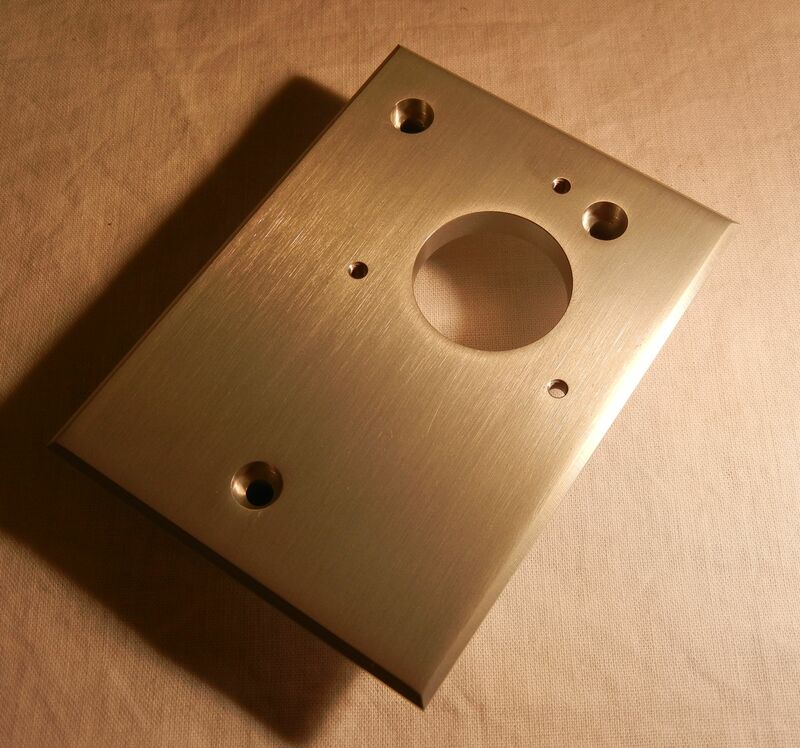 Anodized aluminum with gorgeous brushed finish. Note how each hole is perfectly round. 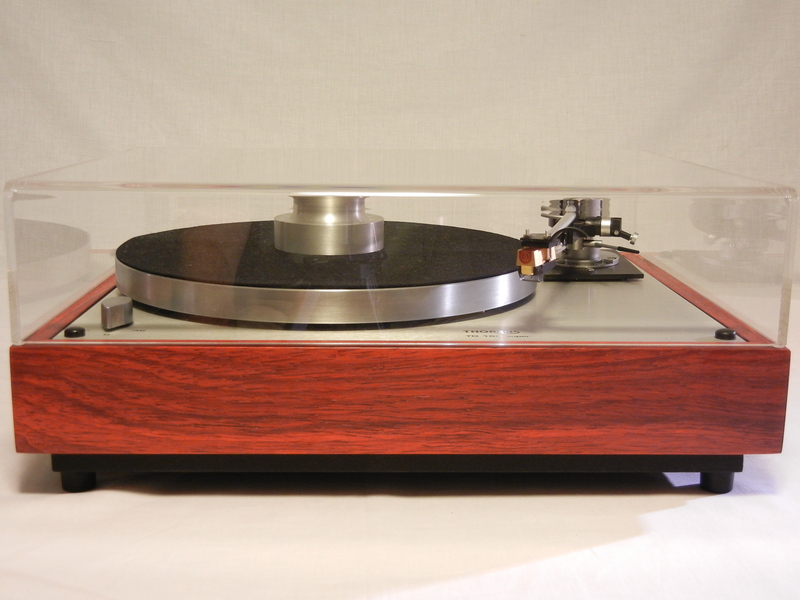 Every Super plinth is crafted by a finish carpenter with over 30 years in the trade. 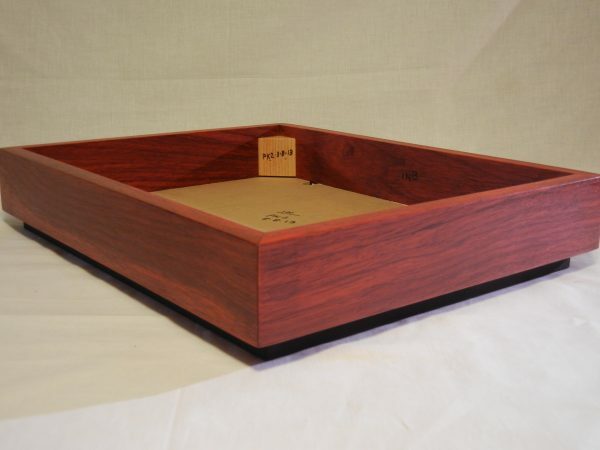 Each is finished with at least three coats of finish appropriate to the wood. 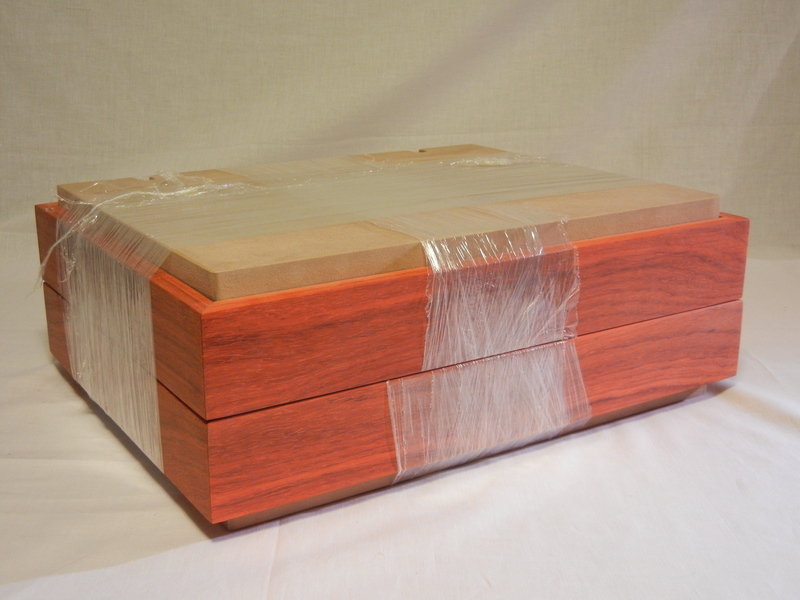 For example, this Padauk needs UV protection, and so two coats of Teak Oil are used followed by two in Polyurethane.